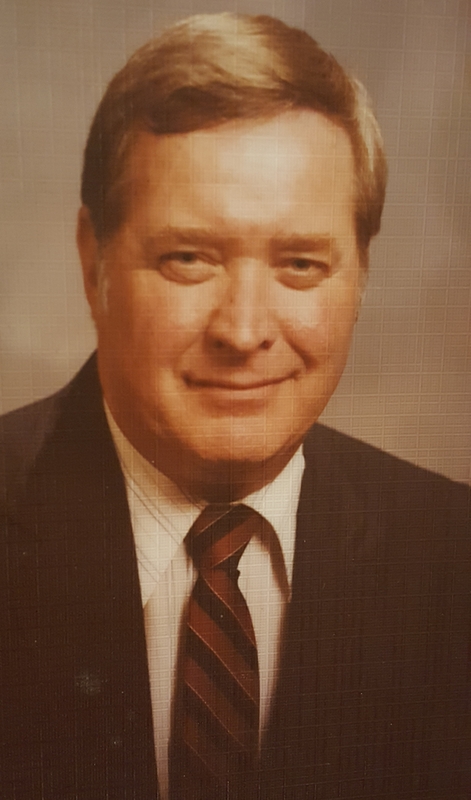 Gerald J. Myers, 83, of Fremont, OH passed away on Monday, October 2, 2017 at Firelands Regional Medical Center in Sandusky, while awaiting surgery. He was born on November 11, 1933 in Delhi Township, Cincinnati, OH to Wendelin and Mary (Auer) Myers. Jerry attended Our Lady of Victory School and graduated from Central Vocational in Cincinnati. While in high school, Jerry worked at Balser’s Garage. He also served as a volunteer fireman with the Delhi Township Fire Department, where he was instrumental in establishing their life-saving squad, and worked on various committees in buying new equipment. In 1954 Jerry entered the U.S. Army and served during the Korean War, being released in 1956. He was awarded the National Defense Service Medal. After the service he attended OMI (Ohio Mechanical Institute) in Cincinnati. While living in Cincinnati, Jerry worked at Staples Machine Tool and Schaening Machine Company as a Machinist, as well as Buck Equipment Corporation, a manufacturer of construction machinery (primarily hoisting equipment) as a jack of all trades, eventually in charge of field service. He later worked at Planet Product as Project Engineer in charge of developing a polyurethane processing machine which was eventually purchased by Marbon Chemical Division of Borg-Warner Corporation. This brought him to the Fremont area as Project Engineer to integrate Polyquip into Borg-Warner Machines. Borg-Warner Machines changed ownership over the years, eventually being sold to EPCO. Jerry held various positions ranging from Project Engineer, Chief Engineer, Service Manager and Manager of Quality Assurance until his retirement in 1999. Jerry is survived by his loving wife, Patricia, of twenty-nine years and his five children, Barbara (Richard) Johnston and Tracy (James) Mandarino of PA, Joseph (Jennifer) Myers of Tip City, OH, Dennis (Margaret) Myers, of Fremont, OH and Kathryn (John) Fleming of Vickery, OH; two step-children, Christopher Nehls of Fremont and Carrie (Timothy) Kreilick of Helena; seven grandchildren; nine step-grandchildren and four great-grandchildren. He is also survived by brothers, David (Kim) Myers, John (Barb) Myers, Fred (Marty) Myers; sister, Wilma (Bud) Buskin and sister-in-law, Janet Myers, all of Cincinnati. In addition to his parents, Jerry is preceded in death by his brothers, James A. and Richard E. Myers and sister-in-law, Marty (Richard) Myers. The family would like to extend a very special “Thank You” to the office of Jonathan Diller for not only the excellent, loving care provided, but the genuine friendship and concern graciously shared with Jerry and his family. A Memorial Service and Celebration of Life will be held on Saturday, October 21, 2017, 10:30 am at St. John’s Lutheran Church, with visitation from 9:30 to 10:30 prior to the service. In lieu of flowers, the family requests that donations be made to St. John’s Lutheran Church, St. Jude Children’s Hospital or to the Salvation Army. The EPCo gang is up there chatting about all the good times ! Our deepest sympathies from the Schroeder crew! Pat: We are so sorry. May the prayers and good thoughts of those all around comfort. My sympathy to all the family. Thoughts and prayers to all. My deepest sympathy to the Myers family. Though it’s been 40 years, I still have fond memories of working with Jerry @ EPCO.